Home brewing is a pastime that can be as much an art or a science as you make it, depending on your predilections. [Brandon Satrom] is one who leans very much towards the science side. There’s plenty that can be done to monitor and control a brew, and [Brandon] is one of many who have built custom hardware to help get the best possible results. Now, that hardware was due for an upgrade. [Brandon]’s original BrewBuddy system relied on the Particle Photon, a useful platform that was nonetheless getting on in years. With the launch of the new Particle Argon, [Brandon] set his sights on new features that were possible with the added horsepower available. Graphics were added to the LCD screen, and a piezo sensor to detect the start of the fermentation process. This is in addition to the original temperature monitoring and plotting features of the first build. The upgrade from one microcontroller platform to another can be fraught with headaches, but in this case, only minor changes were needed. 3 lines of code were changed to account for different pin assignments, and the rest fell neatly into place. It’s a testament to the compatibility of the Particle platforms that this upgrade was so easy. We’ve talked about the 3rd generation Particle boards before, and we expect to see them turning up in many more builds to come. Video after the break. Home automation has been a hot-button topic time and again since the dawn of the personal computer age. These days, thanks to modern communications technology, it’s possible to do some pretty cool stuff. 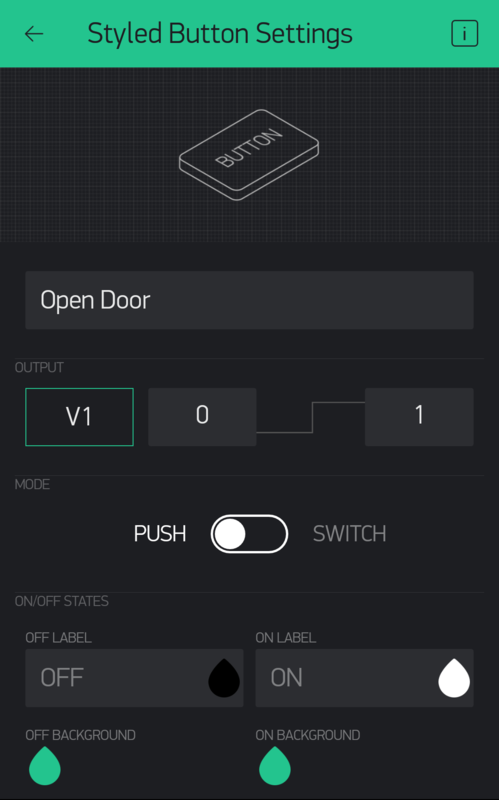 [Brad Harbert] decided to automate his garage door, controlling it over the Internet. The build relies on a Particle Photon to do the heavy lifting of connecting the door to the Internet. Particle offer a cloud service that makes setting up such a project easy for the first timer, and [Brad] was able to get things working quickly. A relay is used to activate the garage door remote button, as it was desired to leave the main control board of the garage door opener untouched. Reed switches are used to sense the position of the door, and [Brad] coded a state machine to ensure the door’s current state is always known. It’s a simple project, but [Brad]’s use of state machine techniques and position sensing mean it’s less likely he’ll get home to find his garage open and his possessions missing. If you’re new to programming simple physical devices, you could take a page out of his logbook. Of course we’ve seen similar builds before, like this one from parts from the scrapbin. At this point we’re all well aware of the fact that there is some inherent danger involved when bringing “things” onto the Internet. Nobody wants to come home to a smoldering pile of ruble because their Internet connected toaster oven decided to get stuck on “Hades.” But even with the risks, occasionally we see projects that prove at least some intrepid hackers are managing to navigate the Internet of Things to solve real-world problems. [Daniel Andrade] writes in to tell us about the Internet controlled entry system he’s setup at his new apartment, and while we imagine it’s not for everyone, we can’t deny it seems like it has improved his quality of life. Rather than giving all of his friends a copy of his key, he’s setup a system where anyone who has the appropriate link can “buzz” themselves in through the building’s existing intercom system. Thanks to the old-school intercom setup, the hardware for this project is simple in the extreme. All [Daniel] needed was a relay to close the circuit on the door buzzer, and a way to fire it off. For his controller he chose the Photon from Particle, which is perhaps a bit overkill, but we all tend to work with what we’re personally comfortable with. Most of the work went into the software, as [Daniel] ended up coming with two distinct ways to control the door lock over the Internet. The first method uses Blynk, which allows you to create slick visual interfaces for mobile devices. His second version is controlled with a POST request to a specific URL, which he likes because it gives him more flexibility as to how he can interact with the lock. Currently he has a simple web page setup that lets friends and family open the door by just clicking a button. 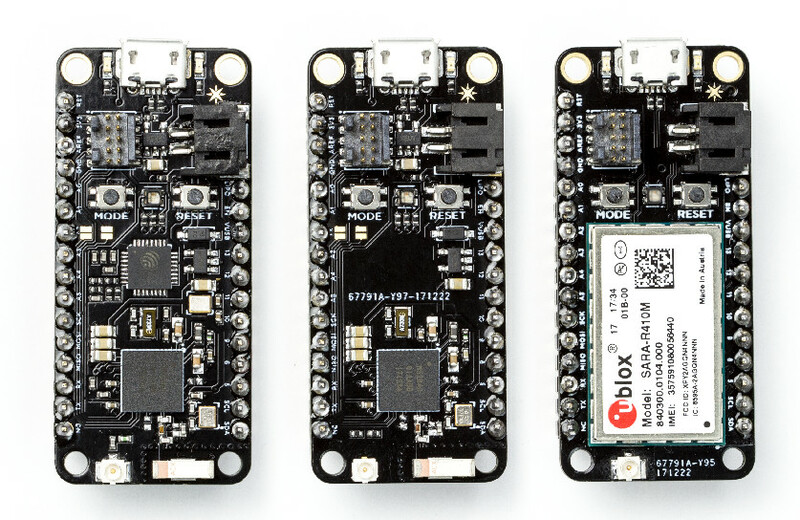 Particle, makers of the WiFi and Cellular IoT modules everyone loves, is introducing their third generation of hardware. The Particle Argon, Boron, and Xenon are Particle’s latest offering in the world of IoT dev boards, and this time they’re adding something amazing: mesh networking. The three new boards are all built around the Nordic nRF52840 SoC and include an ARM Cortex-M4F with 1MB of Flash and 256k of RAM. This chip supports Bluetooth 5 and NFC. Breaking the new lineup down further, the Argon adds WiFi with an ESP32 from Espressif, the Boron brings LTE to the table with a ublox SARA-U260 module, and the Xenon ditches WiFi and Cellular, relying only on Bluetooth, but still retaining mesh networking. This segmentation makes sense; Particle wants you to buy a ton of the Xenon modules to build out your network, and use either the Argon or Boron module to connect to the outside world. The form factor of the boards conforms to Adafruit Feather standard, a standard that’s good enough, and much better than gigantic Arduino shields with offset pins. Of particular interest is the support for mesh networks. For IoT solutions (whatever they may be), mesh networking is nearly a necessity if you have a sufficient number of nodes or are covering a large enough area. The technology going into this mesh networking is called Particle Mesh, and is built on OpenThread. While it’s a little early to see Particle’s mesh networking in action, we’re really looking forward to a real-world implementation. Preorder pricing for these boards sets the Argon module at $15, the Boron at $29, and the Xenon at $9. Shipping is due in July. Ask Hackaday: How Does This Air Particle Sensor Work? The hardware coming out of [Dr. Peter Jansen]’s lab is the craziest stuff you can imagine. He’s built a CT scanner out of plywood, and an MRI machine out of many, many turns of enamel wire. Perhaps his best-known build is his Tricorder – a real, all-sensing device with permission from the estate of [Gene Roddenberry] to use the name. [Peter]’s tricorder was one of the finalists for the first Hackaday Prize, but that doesn’t mean he’s stopped working on it. Sensors are always getting better, and by sometime in the 23rd century, he’ll be able to fit a neutrino detector inside a tiny hand-held device. One of the new sensors [Peter] is working with is the MAX30105 air particle sensor. The marketing materials for this chip say it’s designed for smoke detectors and fire alarms, but this is really one of the smallest dust and particle sensors on the market. If you want a handheld device that detects dust, this should be the chip you’re looking at. Unfortunately, Maxim is being very, very tight-lipped about how this particle sensor works. There is a way to get access to raw particle counts and the underlying algorithms, and Maxim is more than willing to sell those algorithms through a third-party distributor. That’s simply not how we do things around here, so [Peter] is looking for someone with a fancy particle sensor to collect a few hours of data so he can build a driver for this chip. Here’s what we know about the MAX30105 air particle sensor. There are three LEDs inside this chip (red, IR, and green), and an optical sensor underneath a piece of glass. The chip drives the LEDs, light reflects off smoke particles, and enters the optical sensor. From there, magic algorithms turn this into a number corresponding to a particle count. [Peter]’s hackaday.io log for this project has tons of data, math, and statistics on the data that comes out of this sensor. He’s also built a test rig to compare this sensor with other particle sensors (the DSM501A and Sharp sensors). The data from the Maxim sensor looks good, but it’s not good enough for a Tricorder. This is where you, o reader of Hackaday, come in. [Peter] is looking for someone with access to a fancy particle sensor to collect a few hours worth of data with this Maxim sensor in a test rig. Once that’s done, a few statistical tests should be enough to verify the work done so far and build a driver for this sensor. Then, [Peter] will be able to play around with this sensor and hopefully make a very cheap but very accurate air particle sensor that should be hanging on the wall of your shop. When going about a busy day, a hard copy listing all your tasks helps if you aren’t inclined to pull up a notepad — or whatever app you use — on your phone each time; doubly so if you want to pin it up in one place to refer to. Besides, using a full sheet of paper for a few items is impractical — and wasteful. To that end, [Jed Hodson] has concocted a mini printer for all your listing needs. [Hodson] designed and 3D printed the case, making the files available for download and instructions on how to assemble it. Being an IoT device, the printer uses a Photon board to connect to the Internet, wherein Microsoft Flow is used to liaise between the Adafruit printer and Wunderlist — the list app [Hodson]’s chosen for this project. The fatal combination of not being a early riser and commuting to work using public transit can easily result in missed buses or trains. Frustrated with missing train after train while fumbling with a complicated transit schedule app, [Fergal Carroll] created a Train Time Ticker to help his morning routine run right on time. A Particle Photon hooked up to a 2.2″ TFT screen — both mounted on a breadboard with a button — fit the purpose tidily. Weekday mornings, the Ticker pulls — from a server he set up — the departure times for the specific station and platform along [Carroll]’s commute every three minutes; at all other times, the Ticker can be manually refreshed for any impending trips. Lord Fadlian liked RC Rover Self Leveling Suspension . castvee8 liked Stepper Motor Prototype. michael.stal has followed a list. Saige C started following Ultimate Workshop. Saige C started following HackLab.TO. Saige C started following Interlock Rochester. Boardman liked pcbtc (GaN edition). fabio_souza53 liked Multi game retro console with CPU on μSD cards.